Zara Larrson was in town to perform her first ever Belfast gig. Fans across Northern Ireland travelled to see the superstar belt out pitch perfect vocals, including her smash hits 'Lush Life' and 'Never Forget You'. Zara performed in an intimate setting at Belfast Waterfront and treated fans to a night they will never forget. 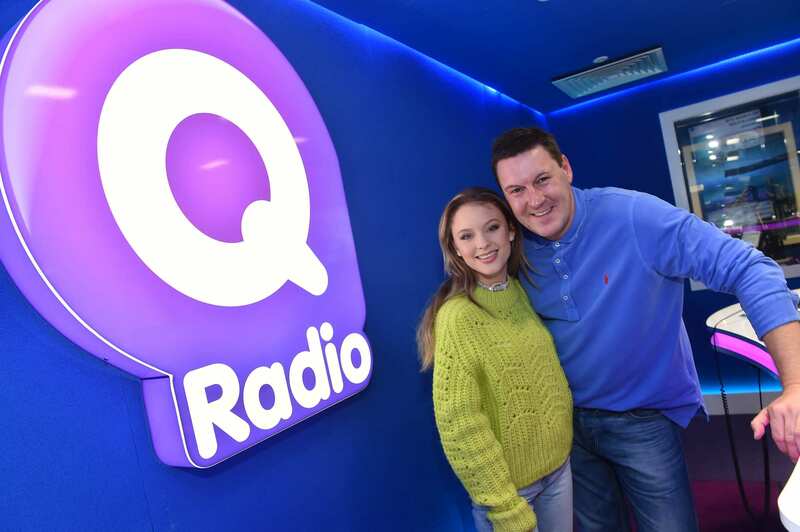 Ahead of her gig in Belfast, the Swedish popstar visited Q Radio’s Headquarters and chatted to Gareth Stewart about her busy work schedule, writing new music and how excited she was to perform in the city. "After the tour, I'm going to go to LA and write songs for a month. I like to be in the right head space to write." "I miss my friends and family. I don't miss home that much, but mostly I wish I could bring the people I love on tour with me." "I was very nervous, I was only ten but I did it." Voted as one of the most infleuntial teenagers, she said: "I am just being myself and showing who I am. It's not hard for me to be who I wanna be. I know I have a lot of young people who follow me, so hopefully the things I write about and spread is just about me." Watch the video below for the full interview. Zara Larrson has rescheduled her show tonight in Dublin's Olympia Theatre, due to Storm Ophelia, which is affecting the North and South of Ireland. Find out more information below.